Amazon has reached staggering heights and revolutionized shopping in the U.S. and beyond, but CEO Jeff Bezos still sees a threat: the physical stores he has supposedly vanquished. 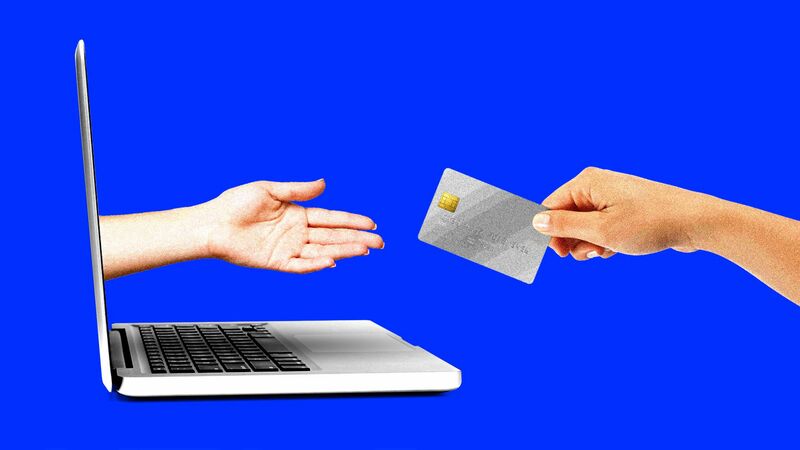 Axios' Erica Pandey reports: For all the hoopla around e-commerce, physical stores continue to command some 90% of the retail pie in the U.S. — and will for at least another decade, experts predict. That has left Amazon and other online retailers preparing to set up their own physical stores, with the aim of capturing as much of the remaining pie as they can. The big picture: Big chains have shuttered stores, but U.S. physical retail is alive and well. Overall physical retail sales are up 6% year-over-year, according to Coresight Research. Last year, about 10,000 more stores opened than closed, according to the research firm IHL Group. But the big players in both worlds are betting that the future of retail will be a hybrid of online and offline, pairing the perks of each model. Large Chinese retailers have been at this for years, and now Amazon is embracing the strategy too, opening its third Go store in Seattle earlier this month and planning 3,000 more by 2021. "You don't get a full picture of your consumer if you're only online or offline." There is logic to the hybrid strategy. In a physical store, you can touch what you're about to buy and take it home right away. Online, you can order something delivered to your door with a single click. New retail gives you some of both: it injects tech into physical stores, and gives online platforms brick-and-mortar homes. Shoppers transition seamlessly between both experiences. An example is the cashier-less corner store, like Amazon Go, where you grab your snacks and just walk out. Machine vision takes care of checkout. Reality check: Unmanned stores and smart checkout are already mainstream in China. JD.com has 20 unmanned stores, including one abroad in Indonesia. And Alibaba owns and operates 64 futuristic supermarkets. The key advantage to brick-and-mortar stores is that they can control shoppers' experience. And physical stores are leaning into this advantage, thinking carefully about cool interior design or top-notch customer service to make the schlep to the store worth it, Erica writes. Younger, digital-first brands moving into physical retail make sure their stores are Instagram-ready to attract millennials and Gen Zers. Reformation, a women's clothing store, uses iPads so shoppers can build virtual shopping carts. Then, when they enter dressing rooms, the clothes they picked are waiting for them, in all the right sizes. Neighborhood Goods, a startup with $6 million in venture capital money, is calling itself "the department store of the future." The store will have about 25 small brands — from sneakers to bedroom furniture to contact lenses — in the form of pop-ups within a big open space. In the middle, there will be a restaurant. "We're not trying replace Nordstrom's or Macy's. ... We're trying to emulate retail as it was 100 years ago. It's about an experience that has been specifically curated for where you are." Amazon doesn't intend to be left in the dust. Just yesterday, it opened a store in New York City called "Amazon 4-star." The shop features goods with 4-star ratings or higher on the site, and swaps out the offerings based on what's trending locally. It was one thing after another all week, so here are the top stories you might have missed from Future. 4. The race for the next billion cars: Who will be the next trillion-dollar company? The strongest-ever controlled magnetic field was activated in Tokyo earlier this year, showering a containment room with sparks for its brief lifespan: 1/1,000th of a blink of an eye. Why it matters: Powerful magnetic fields allow scientists to study the movement of electrons, enabling research into fusion, a future source of clean energy. The field was measured at 1,200 teslas — a unit of magnetic field strength — which is about 400 times the strength of an MRI, according to IEEE Spectrum. It was created by compressing a much weaker field into a tiny space at an extremely fast rate. Shojiro Takeyama, the University of Tokyo professor in charge of the experiment, told IEEE that the iron cupboard that housed the mechanism was built to withstand the effects of a 700-tesla magnetic field — only three-fifths the strength of the field that was actually created. The cupboard’s door was broken, but no one was hurt, he said. The magnetic field’s 100 microseconds of existence may seem fleeting, but it’s actually a major record, according to a statement from the University of Tokyo. Powerful fields generated by lasers typically last for nanoseconds — or 1/1,000th of a microsecond. A Russian experiment created a stronger magnetic field in 2001, but it couldn’t be controlled. The 2,800-tesla field blew up the lab’s equipment.